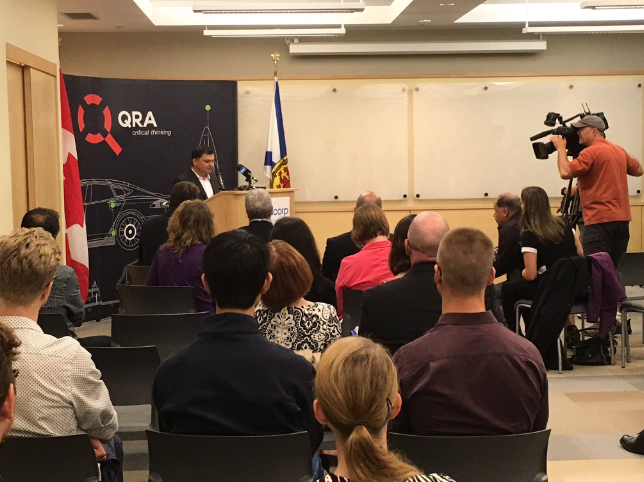 Halifax-based QRA Corp, which develops enterprise software tools for early-stage validation and verification of engineered systems, has raised $3 million. According to a report from Entrevestor, the funding was raised from the Atlantic Canada Opportunities Agency, which is part of the Atlantic Growth Strategy established by the Government of Canada and the four Atlantic provinces. The funding is a conditionally repayable sum. QRA will use the funding to develop commercial software, as well as hire 13 people for their research and development team. Currently, the company works closely with the world’s largest defense contractor, Lockheed Martin. The company’s two main products include QVTrace, which allows designers to identify system faults typically encountered in the build stage, and QVScribe, which allows engineers to analyze requirements documents within Microsoft Word. The funding is part of the Canadian government’s initiative to invest $7.1 million in four Atlantic Canada-based innovative projects. Ask @StartupCFO: How do I deal with ‘mentor whiplash’?